Join us for an evening with fashion historian Ivan Sayers, as we showcase our newest exhibition Skin & Bones by Catherine Stewart! 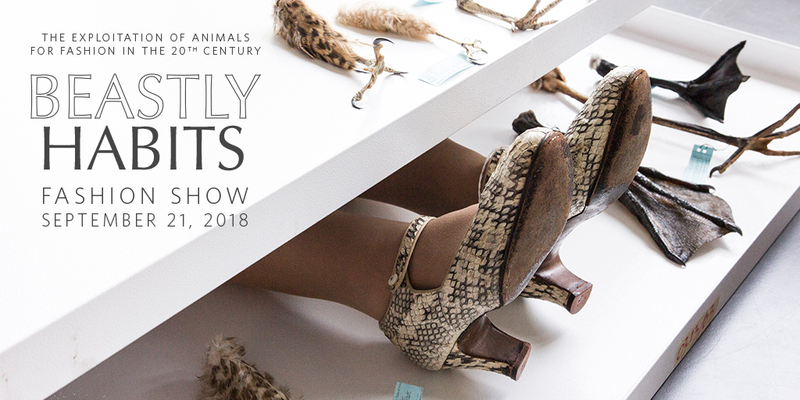 This ticketed event will include a fashion show, featuring historical, animal-sourced clothing and accessories, and a presentation from Ivan Sayers and Claus Jahnke, highlighting how animals have been exploited for fashion throughout the 20th century. Examine our complicated relationship with the animal world in an exhibition that intersects the disciplines of natural science, fine art, and the applied art of fashion design. Cash bar and light catering will be provided. Doors at 7:00 pm. Fashion Show starts at 7:30 pm. This event is now sold out. Check out other special events coming up at the museum or visit the exhibition during our regular hours.